In fact, data provided by PwC shows that the cumulative total investments in blockchain startups have increased from 2011 ($16 million) to $750 million in 2015 to a whopping $1.6 billion in 2017. Plus, a report by Santander indicates that “Blockchain technologies could reduce banks’ infrastructural costs by $15-20bn a year by 2022”. Most are already familiar with bitcoin, the cryptocurrency that operates independently from the central bank – but the technology behind the system is still unknown to many. The blockchain allows you to send value anywhere in the world where the blockchain file can easily be accessed. Imagine each chain as an online database stored in a distributed, P2P (peer-to-peer) manner. The storage device for the database are not connected to a common processor, instead, each block in the chain are the ordered records which have a timestamp as well as a link to a previous block. The links between the blocks and their content are protected by cryptography- therefore previous transactions cannot be manipulated or destroyed. This also means that the need for a central authority or any middleman is eliminated, thus the ledger and the transaction network is completely trusted. One way to appreciate the potential of blockchain and determine the possibilities it offers is by looking at the potential use cases of blockchain in the industry. Businesses need to buy goods and services on credit with end-to-end visibility in order to avert and resolve any transactional disputes. The benefits of applying blockchain to commercial financing include a decrease in the number of disputes, reduction in the time taken to settle disputes and transparency of the order-to-delivery pipeline. IBM Global Financing (IGF) offers money to its global partners which empowers them to purchase goods/services from the suppliers using the credit approved by IBM. Although, with the number of partners (4000+) and different (and often incompatible) systems users by different suppliers and partners, it could have gotten quite discombobulated. As a solution, IBM moved all the information to the blockchain and presented it to the users as a distributed ledger. An initiative like Linux Hyperledger Project is trying to create open-source distributed ledger frameworks so that developers can focus on building industry applications. Meanwhile, associations like the Linux Foundations are amalgamating the capital market firms and technology to launch the standards for blockchain technology in capital markets. Furthermore, it’s exciting to see the changes that might happen with trading platforms depending upon blockchain based technology. With blockchain technology, there is no doubt that the risk of fraud and operational errors would be minimized. In fact, Australian Securities Exchange and NASDAQ are already exploring blockchain solutions to improve efficiencies and decrease costs. Organizations need to streamline the process of getting approvals from diverse legal entities, like port authorities, customs, trucking or rail transportation firms and so on) for the movement of goods across borders. The blockchain technology can be used by the legal entities to sign all the approvals, and it keeps all the parties updated on the approval status, – as to when the goods are received or when the payment is transferred from the importer to the exporter etc. One of the main areas where blockchain can make a significant change is reducing frauds. Due to its limitless potential, blockchain is getting a lot of attention since 45% of financial intermediaries such as money transfer services and stock exchanges suffer from economic crime every year. Most banks have a centralized database which is vulnerable to cyber-attacks because it has one point of failure rather than many – so when a hacker breaches the system, he has a full access. The blockchain is a distributed ledger where each block has a timestamp and holds batches of individual transactions with a link to the previous block. This technology would eradicate the crimes that are being perpetuated currently online – against our financial institutions. Blockchain can greatly benefit cross border payments by simplifying as well as speeding up the process- all the while minimizing the costs incurred and eradicating many traditional middle men at the same time. Up until now, the cost of remittance was 5%-20%. Blockchain technology could decrease the costs to 2-3% of the total amount and offer guaranteed, real-time transactions across the borders. Santander, the Spanish banking group was the first bank in the UK to use the blockchain to transfer live international payments through a mobile app. The solution is reliant on the technology provided by Ripple, which is the creator and developer of blockchain based Ripple payments protocol and exchange network. 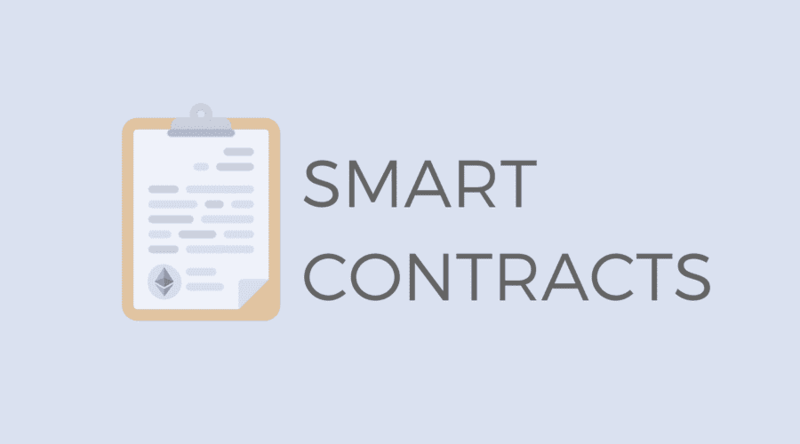 One of the most promising areas blockchain can be applied to is the smart contract. As blockchain can store all kinds of digital information- which includes computer code that can be executed after one or two parties enter their keys, the blockchain allows us to have a smart contract. This code can be programmed to develop contracts or execute financial transaction/ agreements after a certain criterion has achieved- for e.g. signaling an invoice to be paid after the delivery of goods. It also enforces the obligations of all parties in a contract, sans the expenditure of the middlemen. Know Your Customer (KYC) and customer due diligence regulations are intended to assist in decreasing money laundering and terrorism activities by having requirements that need the businesses to verify and identify their clients. Financial institutions, however, spend about $60 million up to $500 million per year to keep up with the regulations as per a survey conducted by Thomson Reuters. Blockchain technology would allow the independent digital identification and verification of one client by the company to be accessed by other companies so that the KYC process wouldn’t have to start repeatedly. The decrease in expenditure over for compliance departments would be significant. For e.g. KYC-Chain from Hongkong is described as “novel platform built over the convenience and security of Distributed Ledger technology, allowing users to manage their digital identity securely, while businesses and financial institutions are able to manage customer data in a reliable and easy manner”. The blockchain world is moving swiftly, so the firms who seem to have pursued a “watch and learn” strategy with blockchain will have to act now, as the technology is swiftly evolving, thus the learning curve is significant. The blockchain dialogue is shifting towards bigger issues like what a DLT world would look like or how will parties co-operatively work in a multi-blockchain ecosystem. Thus, firms interested in blockchain will have to start now as they will also need to convince the stakeholders (who will need the assurance of small victories before investing in bigger projects). Even if regulators haven’t started setting up standards and regulations around protections and control for the blockchain based systems, we can expect them to start the groundwork soon. Thus, Financial services companies must consider what standards make sense and consider joining a trade group/ consortium to have to have their say in the discourse.